‘Goa Goa Ami Niz Goenkar’ is a fun-filled song in Konkani and English, written and composed by Trevor Bosco Braganza, which is aiming at capturing your hearts with its catchy tune. The video has been conceptualised and executed by Lloyd Paul, Production Head, M M Films, Pvt Ltd, and directed by a young and budding photographer turned director, Praveen Challagali. Akshada Tallulikar has added colour to this video with her amazing voice and presence. Alfin Fernandes of the band A26 has arranged the music as well as mixed and mastered said song at Mix Magic Master Studio, while also playing the trumpet for the song. She was supported by Avinash Costa of Band Wagon on the lead guitars and Sidharth Yaji on the tumba, giving it an up-tempo feel. Tiatrist Fatima D’Souza has also been featured in the video. Trevor will be releasing the song on Sunday, July 8 at Panino – The Little Goan Bristo, Majorda with a special performance by The Lil Angels in support for the visually impaired. Trevor explains that it is his long association with charity causes that prompted to include the special performance. He takes an active part in supporting eye (cornea) donation awareness and his dream and passion is to eradicate cornea eye blindness in India and across the world. He supports the Rotary Eye Bank of Goa, located at Goa Medical College, Bambolim, as well as Saksham Goa (Eye Cornea Donation). This performance will be followed by Trevor’s Karaoke Blast. Trevor hopes that the release of this song and previous works can bring about a musical revolution in Goa in terms of ‘Konklish’ songs. Further elaborating, he states that there are several new up-and-coming artistes in the Konkani music industry and also a lot of artistes and bands doing original compositions that are really good. But he wants to create a trend where Konkani and English are blended together so that even non-Konkani speaking listeners can relate to the songs. He has already penned a number of songs and will come out with an album in due course. Trevor has been on the music scene ever since he was in school; he took an active part in choirs, which then led to serenading in hotels and resorts across Goa. He developed a liking for the commercial Goan live band scene and soon was performing with some of the top bands across the state, namely Muzik Mann, Heaven 7 and Archies. When his passion took him to Dubai, he formed a group called Trevor’s Trio and continued performing. 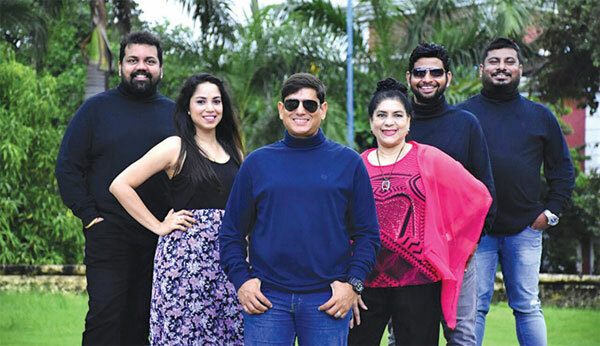 During his collaboration with the band Heaven 7, Trevor and his wife, Maureen, released a Christmas album, titled, ‘Happy Birthday Jesus’, compromising 10 original composed carols produced and marketed by The Pauline Sisters Bandra-Mumbai. All the songs were originally penned down by Maureen. Trevor took a step back from his active music life and joined the aviation industry, though he continued to devote some free time to gigs, while harbouring his dream of releasing original music. He then came back to Goa to re-launch himself in the industry with original music and also do the things that he loved the most – singing and entertaining people. He presently does karaoke gigs across Goa under the moniker ‘Trevor’s Karaoke Blast’, besides emceeing various functions. Trevor has been composing since he was a young boy and is now ready with a couple of projects. He also plans on going international on independent grounds. Besides commercial fun music videos, he also plans to venture into original gospel music. Trevor recently released a video single titled ‘Goodbye Monsoons (It’s Raining)’, a mild adventure trip shot on a GoPro. That song was composed and sung by Trevor, accompanied by Shannon. Music for it was arranged by Alfin Fernandes (keyboardist of A26), and the video conceptualisation was done by Lloyd Paul.